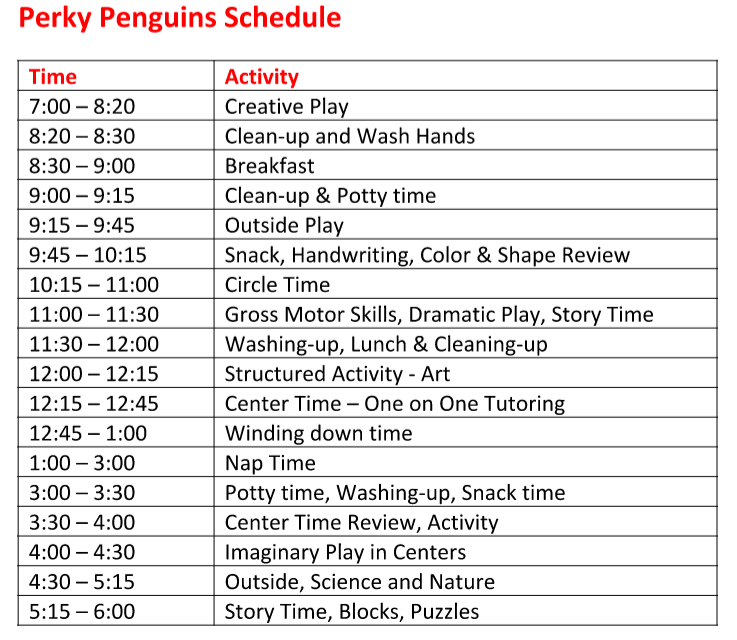 The Penguins Classroom Welcomes Ages 18 months to 36 months! We provide a safe environment for exploration, excitement, and exercise. We channel that energy into learning and fun! At this age your child is growing and learning so much about his or her body and the wonderful world around them. Our loving teachers enjoy getting to know each child and their evolving personalities to ensure a strong bond and to make your child feel safe and comfortable in their environment. At this age, toddlers will have a language explosion and will understand more than they say.The first few years of a child’s life are key to the development of speech, language and cognitive skills. 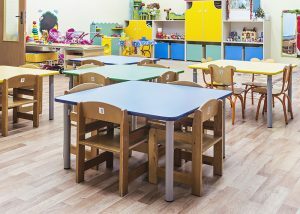 Our educated and experienced teachers will address the individual needs and abilities of each child, since all children grow and learn at their own pace, in their own unique way. Through play, simple daily interactions and learning experiences, we will help your child acquire new language and skills. In the toddler class our curriculum consists of many interactive activities and is designed to meet the needs of 18 to 36-month- old children, with a focus on understanding routines and developing independence. Each day we enjoy circle time and focus on the fundamentals:recognizing shapes, colors and letters, singing the alphabet and counting numbers 1-10. Monthly themes, daily story time, music, and art projects will spark their imagination and creativity while giving your child the opportunity to experience subjects that they may not get to encounter from day to day. 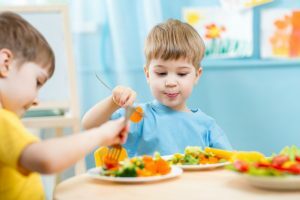 Socially, your child will have the opportunity to learn how to properly communicate through language and interact with peers, by taking turns, sharing, and being kind to one another. We will teach and guide your child with the necessary skills to express emotions through words, which helps them understand the feelings they are experiencing. 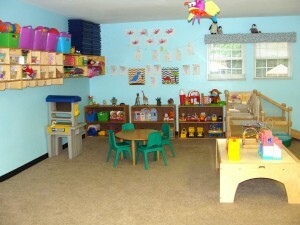 Your child will thrive in our safe, fun and loving classroom environment and as we enjoy playing with your child their creativity and imagination will grow!